The darker Grade C with an intense flavor. Maple syrup is obtained by tapping maple trees growing in the vastness of the Canadian forests. The tree?s sap is refined into a syrup in a process requiring 50 litres of sap for one litre of syrup. The annual yield of a tree over 40 years old amounts to about 900 grams per year. 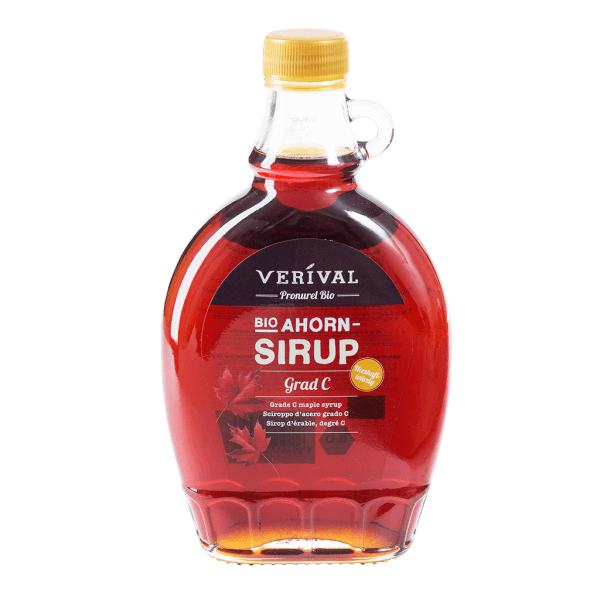 Maple syrup is rich in minerals and is particularly suitable for sweetening crêpes, ices and desserts. It can also be used to sweeten and refine the taste of other foods and drinks. > After opening use promptly. > Store in a cool, dark place.